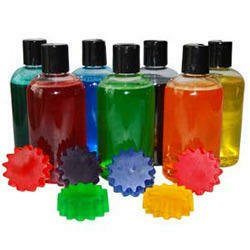 Leading Exporter of liquid dyes and soap dyes from Ahmedabad. 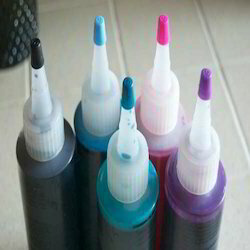 We are among the successful names in the industry for manufacturing and supplying Liquid Dyes. The offered dyes are extensively used for coloring paper, ink and textiles in a wide range of industries. These dyes are free from contaminants and provide vibrant shades of colors. Being precise in terms of composition and soluble in water, these are highly demanded. Our organization is among then acclaimed names in the industry for manufacturing and exporting Soap Dyes. The offered dyes are used in cosmetic industry for coloring soap and are safe to use. These dyes are formulated in tune with the international standards and offer ultimate coloring solutions. The offered dyes are free from contaminants and precise in terms of composition as well. Looking for Liquid Dyes ?